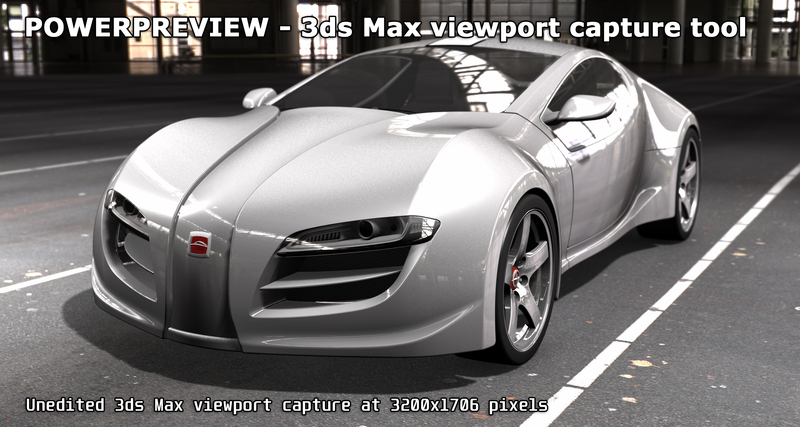 With the 3ds Max 2012 release, Autodesk introduced an advanced 3d viewport technology (OGS) to support the vastly improved graphics hardware available. 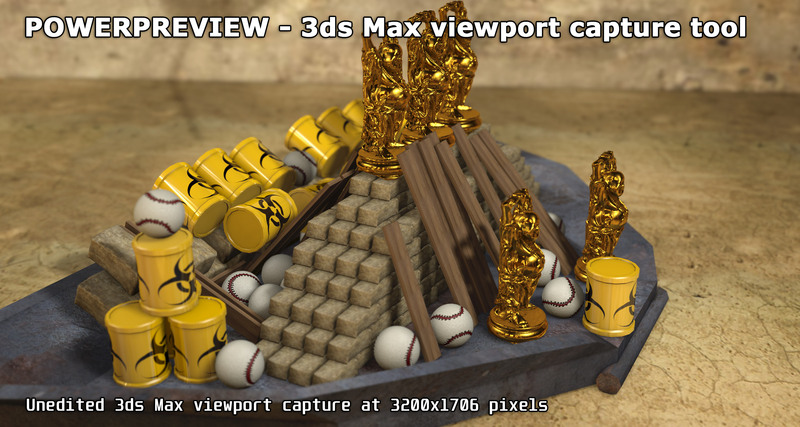 Soon after i got my hands on the first 3ds Max 2012 beta versions ( i’m an official Autodesk beta tester ), i realized that this technology can be used to generate snapshots and playblasts of viewport content at a quality never possible before. 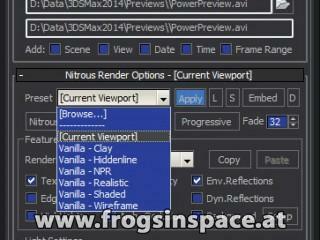 Here are some examples of fullscreen snapshots created using PowerPreview, to see whats possible. 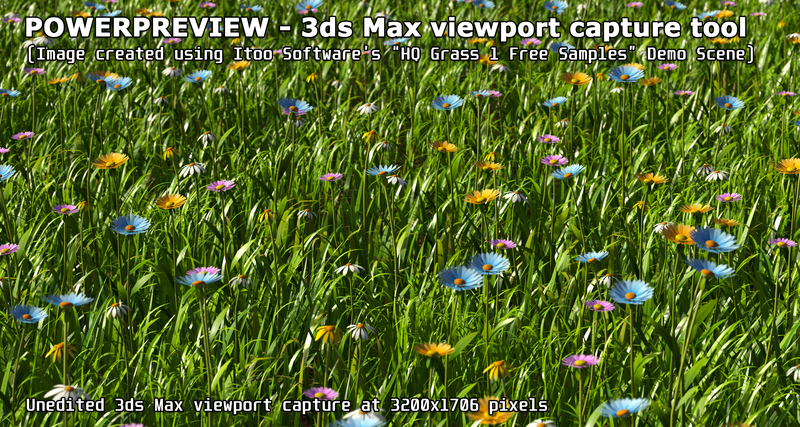 Here is a viewport playblast ( animation ). Note the astonishing DOF and bokeh effects. 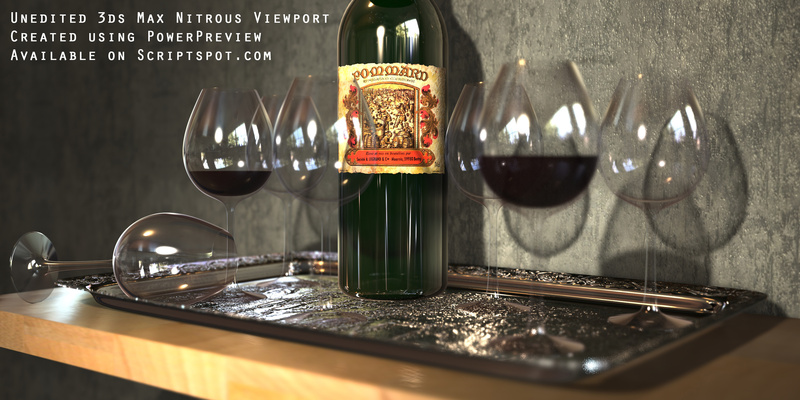 All done IN VIEWPORT ! Power Preview : High Quality Nitrous Preview – !!! BETA RELEASE !!! 3ds Max Limitation: 3ds Max has to be the foreground application, otherwise Nitrous will stop refining the viewport progressively. Because of this issue IT’S IMPORTANT TO DISABLE THE SCREENSAVER. Fixed stupid installer bug: install only executed when existing PowerPreview install was detected – D’oh!!!!! 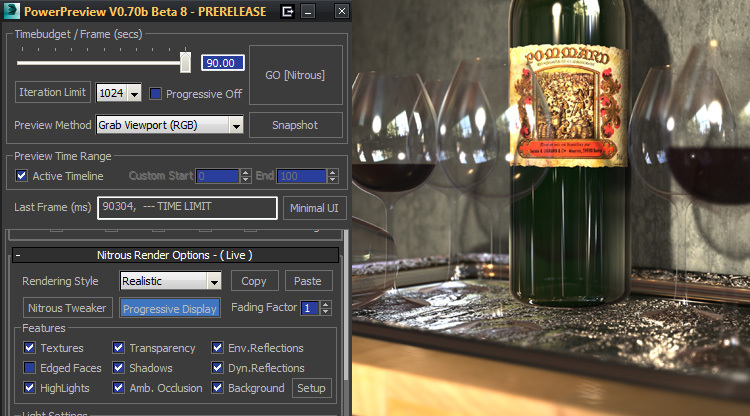 Removed dummy D3D button in Direct 3D mode – D3D options still wait to be implemented…. Use automatic installer or copy the zip contents to your Max folders manually…. Thank you so much for this tool! It’s very very helpfull for us. Just one thing: why the “Frame #” option is grayed out. Will it be available in a future release? Tell me, is it possible to configure the script so that this setting is saved: ShadowMap Size Limit? Thank you so much for this tool! I’ve been using it a lot recently and it’s freakin awesome. Hi, is there a download link or is this not available anymore?